Connecting Today’s Businesses with Tomorrow’s Leaders! This event will facilitate a better partnership between students and area businesses which will enhance the value of chamber members’ participation & overall exposure. This event is open to the public for grades 9-12. 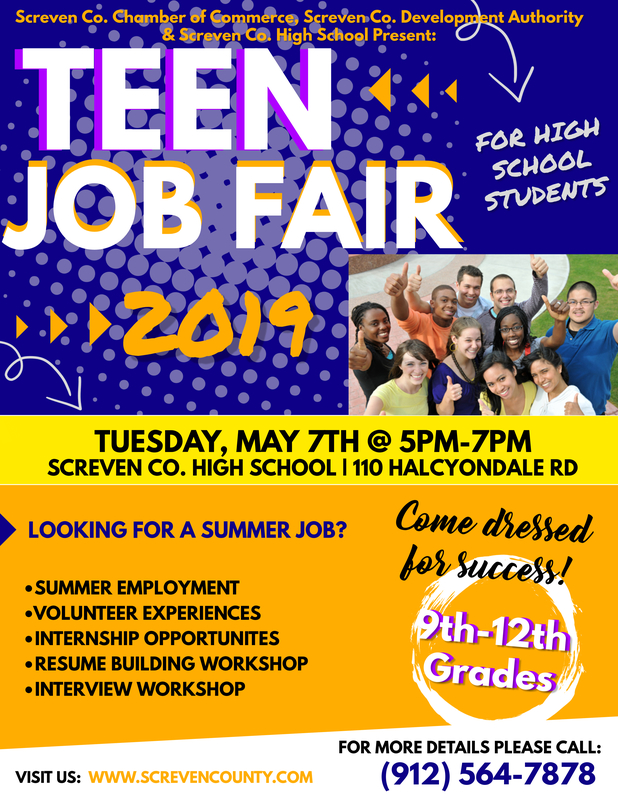 Hosted by the Screven County Chamber of Commerce, Screven County High School and Screven County Development Authority. Register your business for a booth today!